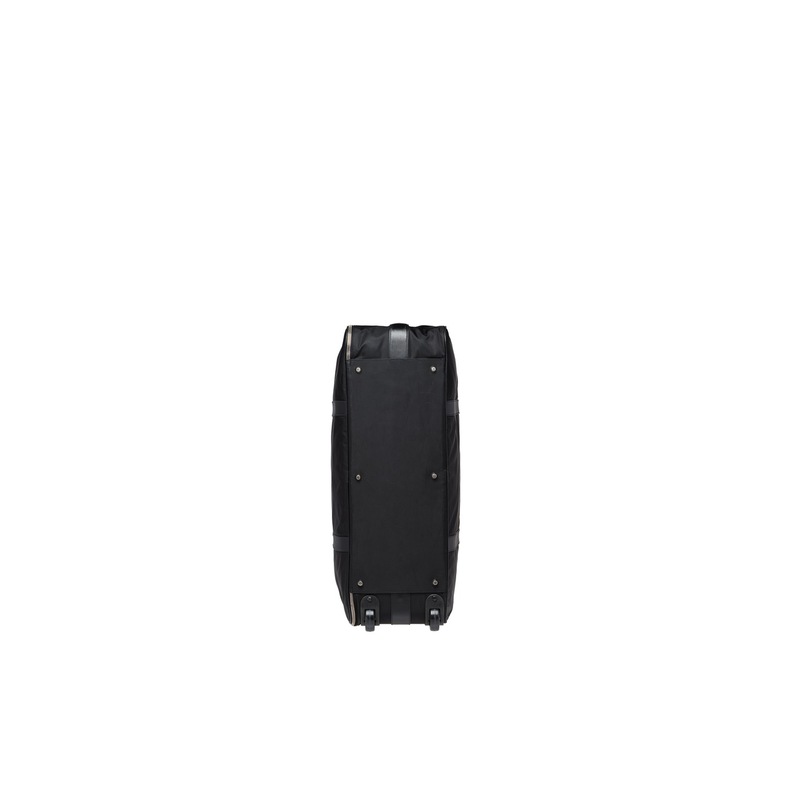 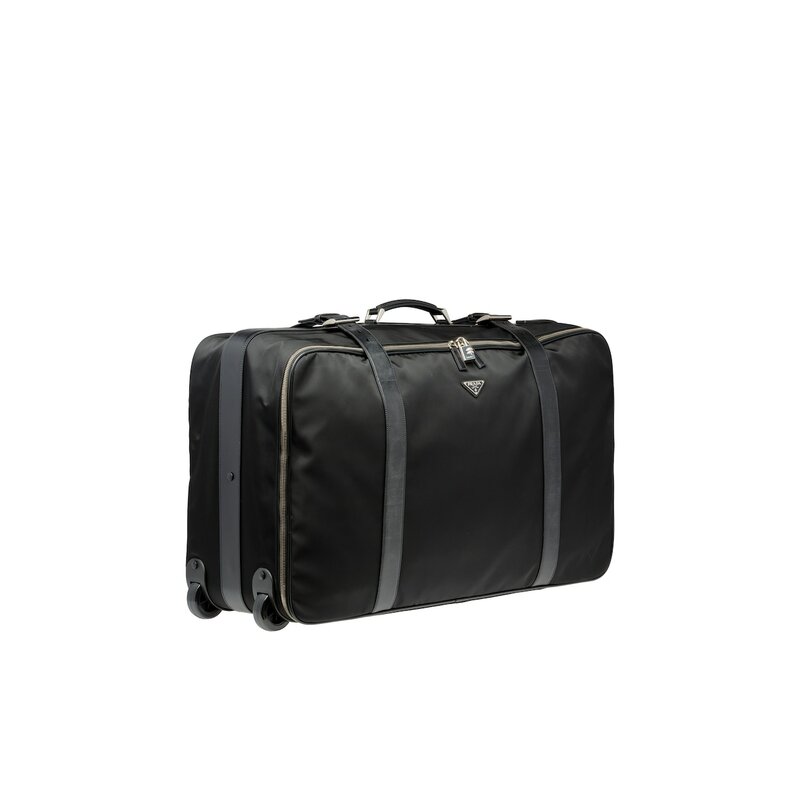 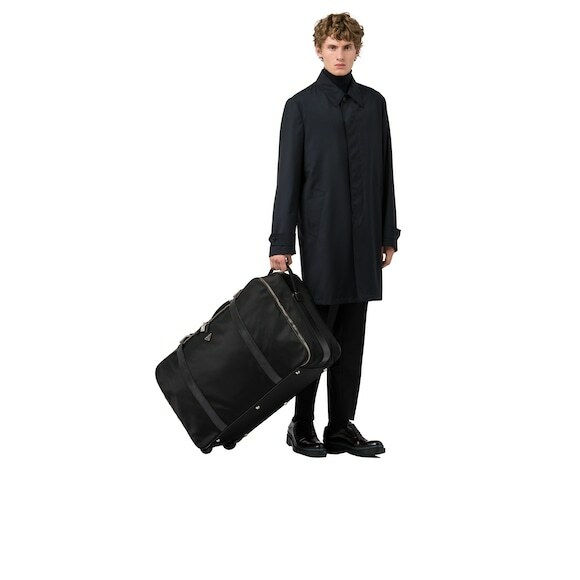 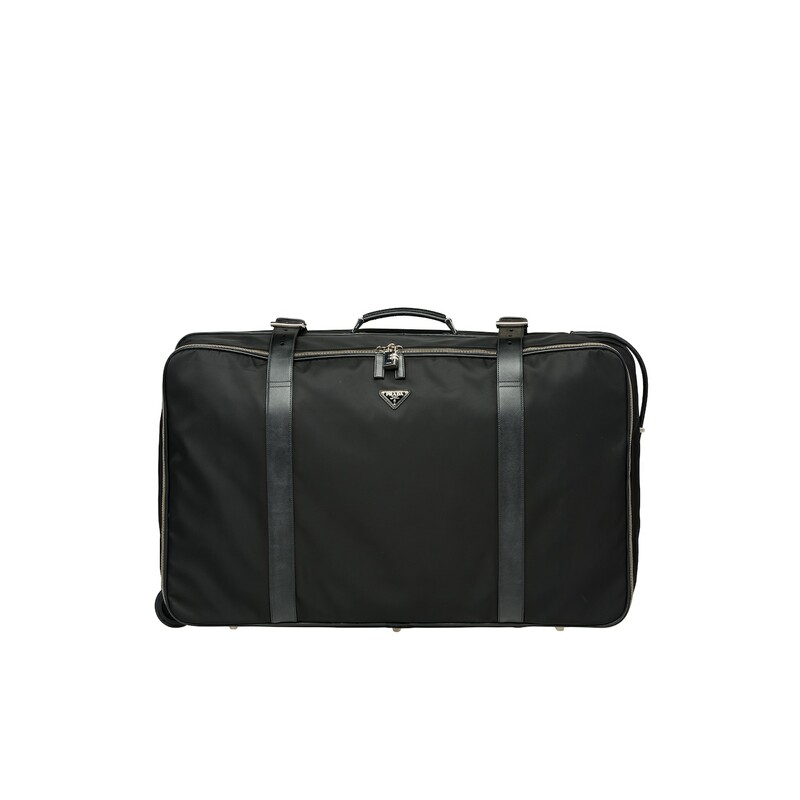 A semi-hardsided suitcase detailed with Prada logo, combination lock and name tag. 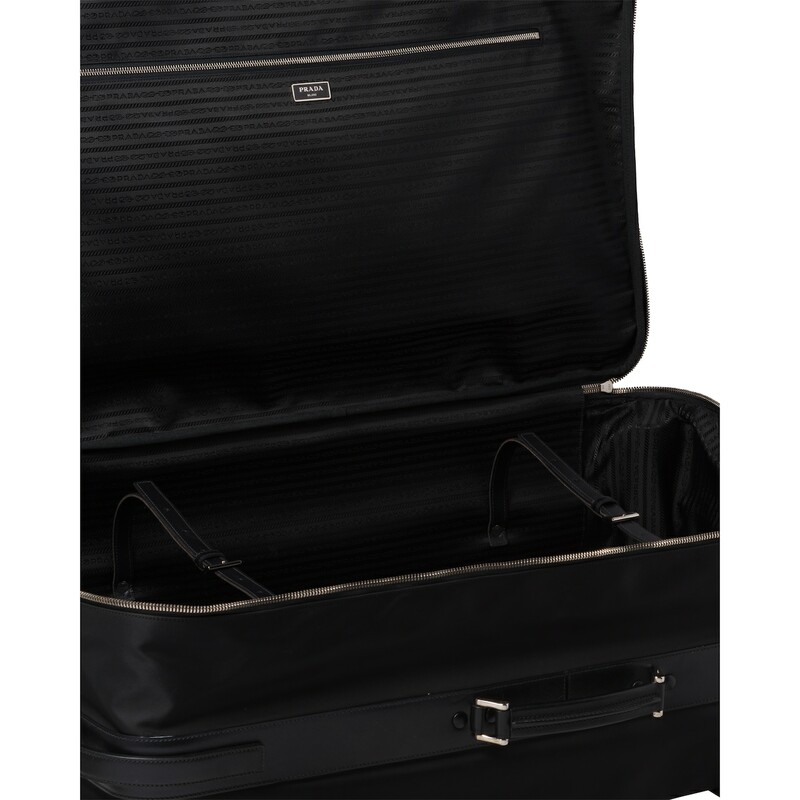 The two-way zipper opens onto one compartment with straps for securing clothes. 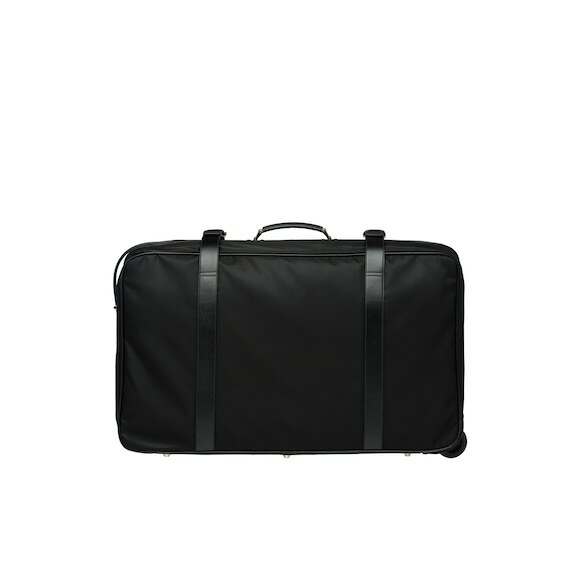 There are two wheels and a detachable strap.